Pursuit of Perfection | Kagoshima Shochu Kojika || KOJIKA SHUZO CO., LTD.
We believe that with heartfelt respect nature can be absorbed through technique, resulting in sweet potato shochu existing at the center of Kagoshima culinary culture. Wind, rain or a drought might cause suffering but may also save us at times. We give thanks to the earth which gently accepts the heartbeat of living things. Drinking quality shochu suits self-reflection, allowing for the recognition of regret and vulnerability but from a distance, with a warm smile. Kojika’s home of Kanoya-shi Aira-cho is next to a laurel forest at the base of the Kunimi range, including Mt. Kunimi, Mt. Kurosondake, and Mt. 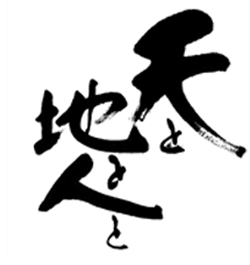 Hoyoshidake. Mountain rain pours on the forest, then is absorbed into the earth and eventually becomes underground water, polished and refined with time. Fresh streams of underground water are constantly bubbling in Gyokusenji Park near Airasanryou, Gyokusen meaning “fountain of jewels” and ji meaning temple. 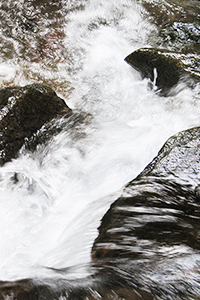 Kagoshima shochu is specifically blessed with pure spring water drawn from a depth of 100 meters (328 feet), rich in minerals and infused with Kagoshima’s southern air. Kagoshima’s Ōsumi Peninsula is the number one producer of sweet potatoes in Japan, with large potato fields spread throughout. It’s been over 300 years since sweet potatoes first arrived from China and the Kagoshima soil has been tenderly, but boldly, growing sweet potatoes ever since. 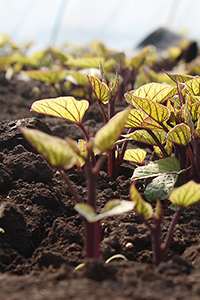 With the thought, “We want to produce Kagoshima shochu from fresh, high quality sweet potatoes harvested from the Kagoshima earth”, in 1994 Kojika Agricultural Co-Operative was established to match the production plan for growing sweet potatoes with a direct management farm of approx. 30 ha (3,229,170 sq ft) and a contract farm approx of 100 ha (10,763,900 sq ft). Human beings have techniques, but when you enter the brewery, it makes you feel how small we truly are. Without borrowing the hand of nature, what we can do is limited. The ability to hear nature’s voice and follow a hunch comes with the experience of being a master brewer. It’s the same for both small man-powered breweries and larger breweries using machines. Just listen to the voices of koji and moromi*, keenly and attentively watching over the process using the 5 senses. 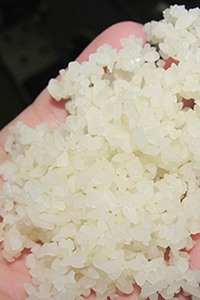 *koji is steamed rice cultivated with mold spores and moromi is a fermented mash. You must be the legal age in the area that you live to consume alcohol. Copyright © - KOJIKA SHUZO Co., Ltd. - All rights reserved.